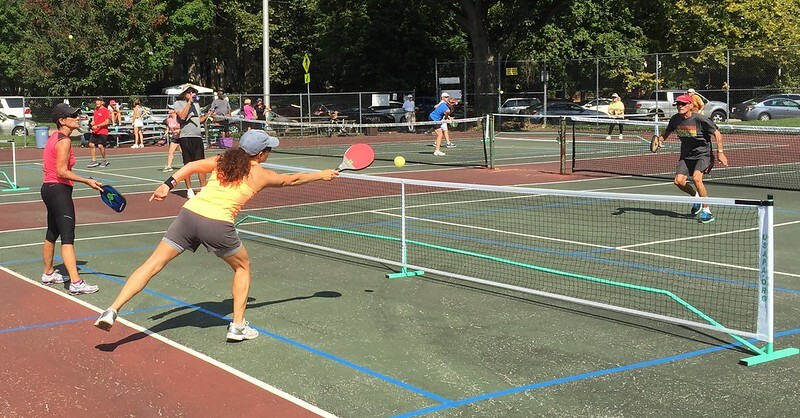 Aficionados gathered on Saturday at the Water Tower Recreation Center in the Chestnut Hill neighborhood of Philadelphia to play "pickleball" to mark the sport's half century mark. The sport, a mid-way mash-up of ping pong and tennis, was made up 50 years ago by a Washington state U.S. congressman and some friends to amuse their bored families after a shuttlecock couldn't be found to play badminton. 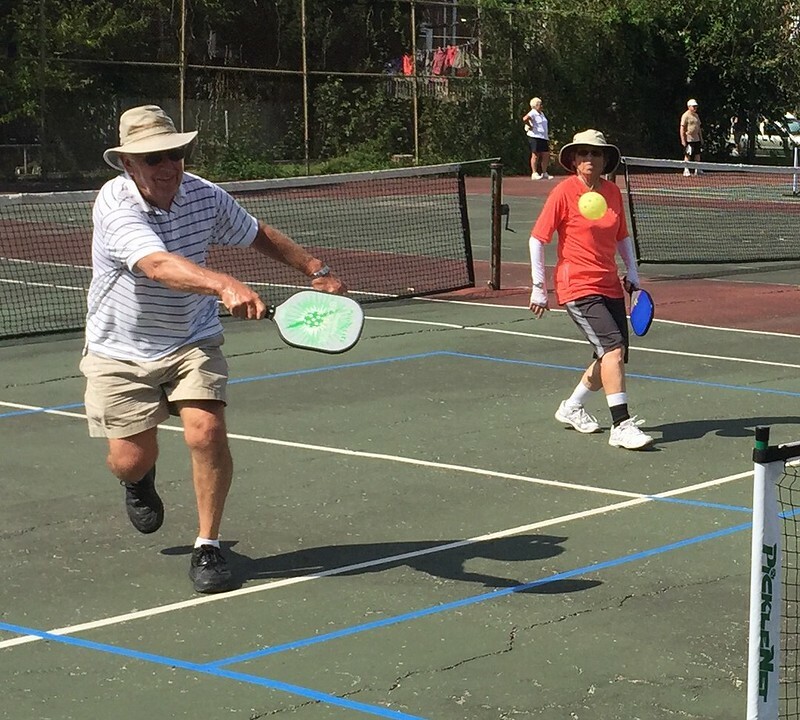 Pickleball is becoming increasingly popular among aging baby-boomers who enjoy racket sports but find it difficult to cover the ground required on a regulation size tennis court. Dan Wheeler founded the Northwest Philadelphia meetup group which now numbers over 500 members. Watch video and interviews here. 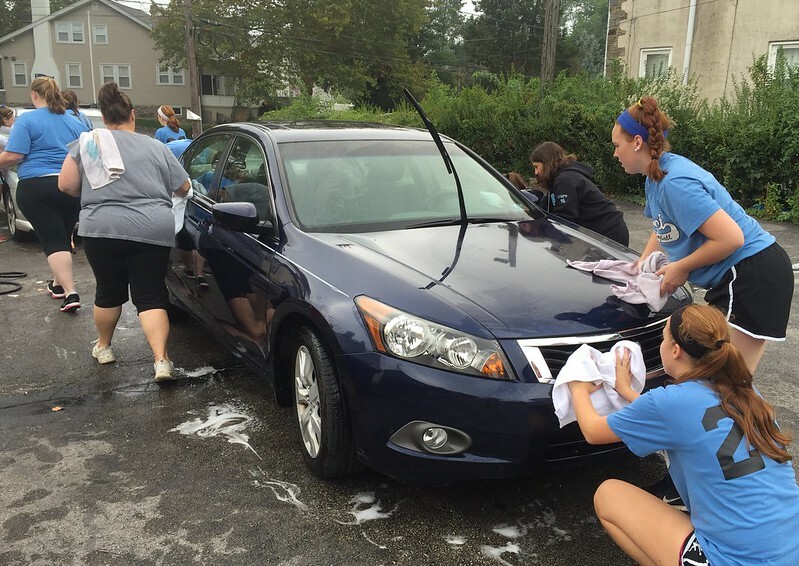 The Impact girls fast pitch softball team in Roxborough hand washed cars, including your correspondent's not-too-dirty sedan, this past Saturday on a pay-what-you-want basis to raise money so they can enter more tournaments. At your correspondent's bidding, a couple girls mimed their batting and pitching techniques. Many have ambitions to play softball in college, according to their coach who was lending a fair amount of his own elbow grease in the wash line. Watch video here. 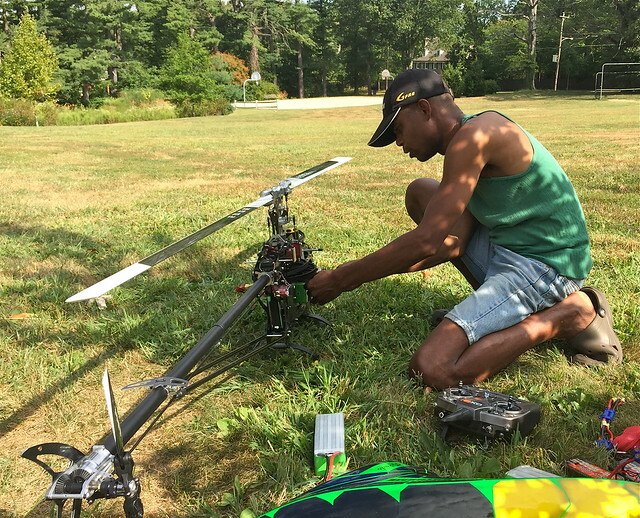 A pilot friend introduced Patrick years ago to the hobby of flying remote controlled miniature helicopters. He got hooked and now flies a high end German model. At the Allens Lane Art Center fields, he maneuvered his copter at high speed through twists and turns, upside downs, up to altitudes where it was just a noisy speck in the sky down to eye level hovering menacingly just yards away from him. He distinguishes himself from the drone hobbyists who he claims are often reckless. His skills have been honed through flight simulator training that actual pilots use and hours of practice.his His advice for avoiding having your head chopped off by the rotating blades? "Don't let it hit you." Watch video here. 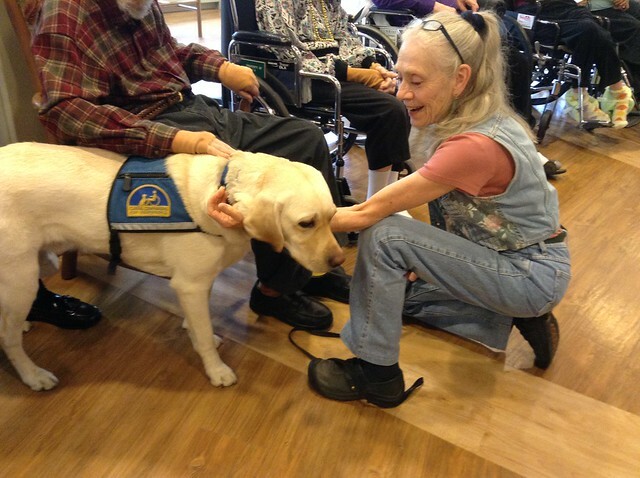 Marjorie Shoemaker brings her "Paws of the Spirit," to nursing homes and other venues. Her passel of animals include an easygoing white Labrador retriever service dog named Archie who, she says cost $50,000 to train, two rabbits and about a dozen guinea pigs. Shoemaker demonstrated how Archie can retrieve things and assist someone who might be disabled by, for example, gently taking off a person's socks without taking off any toes! Watch video here. The nursing home residents coo ooh and ahh as they hold and pet the rabbits and the guinea pigs. The guineas, adept vocalizers, "wheek," purr, and chut in return in this video. Short guinea pig video here.